Field scouting isn’t your job. It’s your life. You’ve put blood, sweat, tears, and a lot of money into that dirt, and every time you venture into your field, you want to be filled with pride that your hard work is paying off rather than anxiety of the corrective steps you need to take. If there was a tool that could ensure more proud moments and less anxiety, would you want it? If there was a piece of equipment that would save time and money for you and your family, would you use it? If we told you drones can, would you believe us? Drones, like tractors of the sky, are changing agriculture. They save you time and help you work more efficiently. They can quickly cover more ground by air than by land, while being less disruptive to crops and livestock. Spending fewer hours surveying your field leaves more time to focus on other important tasks (like taking your son or daughter fishing). Drones also provide a very different perspective of your land from above than you might be used to seeing from the window of your pickup. And with drone software to process the aerial imagery, the applications are even more numerous. A drone flying over your land takes hundreds or even thousands of individual still photographs and tags each one with geodata, including the GPS coordinates from which each picture was snapped. Drone services like Botlink use geodata to photo stitch a single, high-definition orthomosaic map, allowing you to see your entire field on your computer or tablet. Get a better view of your crops. Drone software stitches together hundreds of photos of your fields so you can see all your land in one high-definition orthomosaic map. Traditional crop scouting involves gas-guzzling ATVs, trucks, or tractors; driving through your fragile fields; and walking to manually observe plants and find problems. With drones, you can see your entire field in one place, quickly make observations, enter the geodata into your GPS, and drive right into the problem area, without damaging your entire field. Orthomosaic images can be processed with a variety of filters and map types to give you better insights into your ag operation. Normalized Difference Vegetation Index (NDVI) compares light in the visual and near-infrared (NIR) spectra that reflect off crops to provide better indication of plant health than is visible with the naked eye. Normalized Difference Vegetation Index (NDVI) uses technology developed by NASA to process photos in a way that helps the human eye better visualize plant health. Drones allow you to see your entire farm from the sky, but also zoom to within inches above the plants. With resolution of 20 inches (50 cm), drones get you close enough to count individual crop rows. Satellite imagery, by comparison, has resolution of just 65 feet (20 m). Your high-resolution drone maps can be imported into your farm and agronomy management systems to make targeted nutrient or pesticide applications and generate variable rate prescriptions, decreasing inputs and maximizing profits. Farmers know that some infestations can take over the entire field in as little as two days, so the faster you can identify and act, the better the outcome. If you wait for imagery from a satellite or manned aircraft, it may be too late. On the other hand, you can fly a drone whenever, wherever and find the solution before the problem finds you. Agriculture drones quickly pinpoint issues, such as weeds, pests, and fungi before they become a bigger and more expensive problems. Drones make it easy to get a sense of slope and drainage of a field. 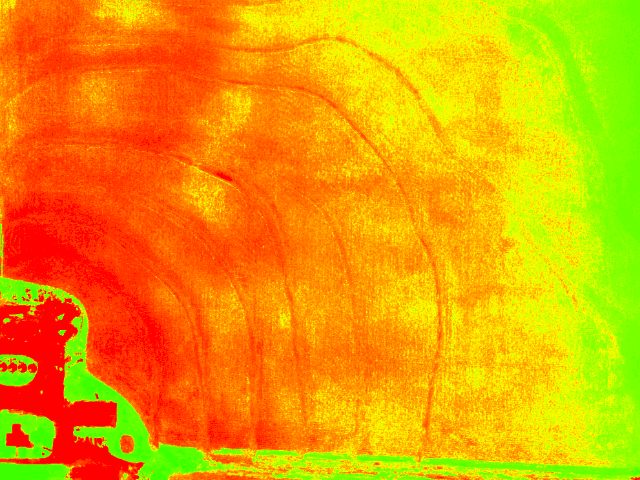 Drones with thermal cameras display dry ground as a warm color and wet ground as a cool color so you can adjust irrigation to fit your field’s needs. Drone processing software like Botlink uses additional in-flight drone data (such as altitude and attitude) to triangulate distances to points on the ground, forming three-dimensional images or Digital Surface Models (DSMs) that can help you see low points in your fields where drainage might be an issue and drain tile might be beneficial. Drones can generate Digital Surface Models (DSMs) to show where drainage problems may exist on your worksite. Drones can help monitor livestock from overhead, tracking the quantity and activity level of animals on your property. Watch for injured animals with real-time information from your drone and even use thermal cameras to identify animals with a fever and monitor livestock health. Riders in the sky. No matter the size of your ranch, drones can help you track livestock movement and headcount far and wide. Asset inspection should be done regularly to prevent any faults or issues as early as possible, but current methods can be very time consuming, labor intensive, and even dangerous. Using drones to inspect assets such as grain bins, barns, or other buildings and equipment can help accurately inspect more efficiently and effectively. Botlink enables you to fly manually and capture live video from a higher vantage point and has a linear survey option to easily fly alongside fences and roads. Save flight missions to fly again with the touch of a button for future, regular inspections. Stop scaling grain bins, barns, and other tall buildings. Inspect your assets for maintenance issues from above while you stay safely planted on the ground. When a nasty storm rolls through your farm, crop damage or loss is always a possibility. Ag drones help assess the crop damage more accurately and in less time than ground scouting. Rather than extrapolating damage in one section of your field, drones can quickly and accurately assess damage across your entire farm to ensure precise estimates for repairing the losses or for crop insurance to negotiate fair crop loss percentages. Are you ready to join the drone revolution? The “tractors of the sky” are changing agriculture, and growers can easily see the benefits and possibilities they have to offer. Agricultural drones provide more information in less time to help increase farmers’ yields and improve their bottom lines. Having roots in the farming community of Fargo, North Dakota, Botlink knows agriculture. Our agriculture technology offers a versatile, accessible, and precise means for growers to capture aerial imagery wherever and whenever. The Botlink team is committed to helping growers through customization, sale, and support of our drone aerial imaging solution. If you don’t own a drone or you’d like to expand your fleet, Botlink is a certified reseller of AgEagle cell-enabled drones and DJI™ multi-rotor drones. We have agricultural drone bundles with everything you need to start flying, including a 1-year subscription to Botlink. If you’d like to speak to one of our experts to learn more, please visit botlink.com where you can chat with one of our specialists or sign up for a free trial or demo. Newer PostRGB Versus NIR: Which Sensor is Better for Measuring Crop Health?